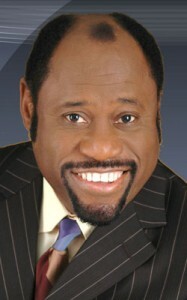 Biography: Myles Munroe was born in Nassau, Bahamas in 1954 and has been a lifetime resident of the Bahamas. He has degrees in fine arts, education and theology from Oral Roberts University (1978), a Master’s degree in administration from the University of Tulsa (1980), and he has been awarded a number of honorary doctoral degrees. He has also served as an adjunct professor of the Graduate School of Theology at Oral Roberts University. His wife, Ruth Munroe is copastor with him at BFMI. He has a son Chairo (Myles Jr.) and daughter Charisa and says that his family is his greatest responsibility and his marriage his most sacred trust. Today, Dr. Munroe is a pastor, teacher, administrator, author and motivational speaker. He travels throughout the world as a speaker addressing governments leaders, businesses, schools/universities and church congregations. He personally addresses over 500,000 people each year on personal and professional development, and he receives hundreds of invitations every year to speak worldwide. Dr. Munroe has appeared on Benny Hinn’s This Is Your Day program, where he spoke about the Kingdom of God. This entry was posted in Sermons and tagged and The Kingdom, Dr. Myles Munroe, Kingdom, sermon, The Keys, The King by admin. Bookmark the permalink. A TOUCHING STATEMENT,”THERE IS A WAY OUT OF EVERY SITUATION. Then you don’t know God’s Word. Cause Myles Munroe certainly is not preaching it!!!! Christianity is not a religion?! Jesus is not the focus of the gospel?! What God’s Word are you reading???? Religion is what man created trying to please GOD. But it failed and it failed miserably. Religion is the one that opposed Jesus and ganged up with satan. Does pharisees and Sadducees ring a bell to you?? Religion is now satans vessel in driving people away from knowing about the King (Jesus) and His Kingdom.